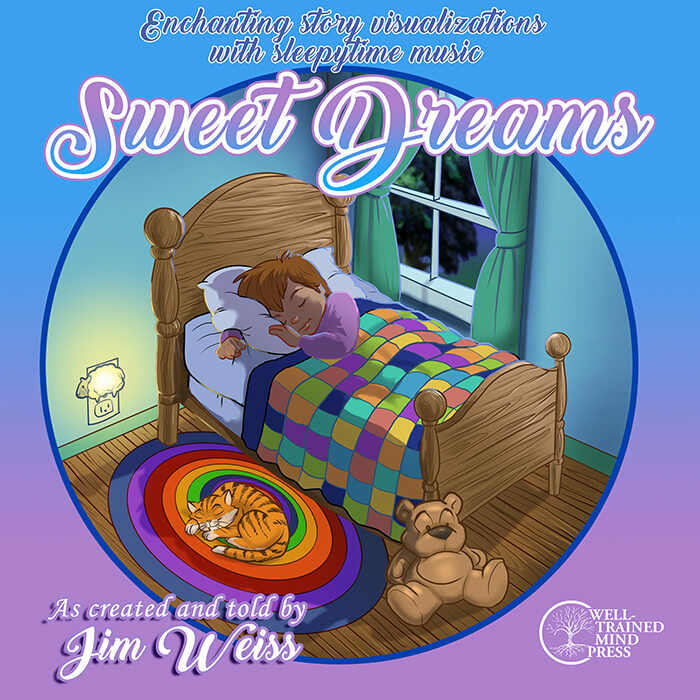 Listeners of all ages can drift into Sweet Dreams with these remarkably restful visualizations from storyteller Jim Weiss. Experience a toy shop after hours, a colorful cavern behind a waterfall, and four other settings of safety and wonder. 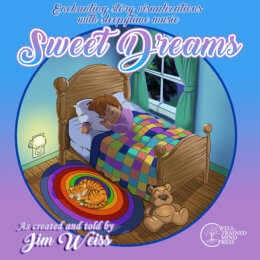 Gentle music follows each scene, with enough time between stories to allow Mom or Dad to turn off the player.